In our look this week at literary agents in digital times, we opened Monday with New York agents Brian DeFiore and Scott Waxman, and with San Francisco’s April Eberhardt. Today, we move the conversation to two much-watched programs in London, talking with agents Jonny Geller and Edina Imrik. And in our new Ether for Authors today, our discussion turns to whether the literary agenting profession can ever be demystified. Plus: agent Kristin Nelson signs another major self-publishing star. It’s been two years since we set up the company. Our initial aim was to make books available that had reverted. (Their rights had reverted to their authors.) The publishers, for whatever reason, were unable to re-publish them. So we thought we’d make these books available—which is great for our authors and great for our readers—but always without competing with the publishing industry. That’s Edina Imrik, speaking in a telephone interview with Publishing Perspectives from her office at London’s Ed Victor Ltd. Literary Agency. Imrik is the agency’s Digital Publishing Manager. 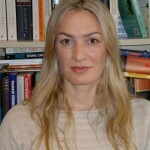 It falls to her to direct Bedford Square Books, one of the first agency-created publishers. Like agent Scott Waxman’s Diversion Books in New York City — covered in Monday’s kick-off to our series on agency-assisted publishing — Victor’s Bedford Square was specifically mentioned in agent Jason Allen Ashlock’s seminal 2011 essay for Publishing Perspectives, An Argument Against Agent-Publishers. And while conversations about agent-publishing in the USA were somewhat curtailed at that time amid concerns about conflict of interest, Ed Victor’s effort in London, like Scott Waxman’s in New York, moved ahead. We’re in a position, I think, in which we can invent a new industry if we want to. First, let’s start with Victor’s program. Its biggest surprise: an author can get his or her rights back at any time and walk away from agent-publishing. Before publishing a book, “We always offer the publisher the chance to re-issue that book,” Imrik says. This, it turns out, is a cornerstone feature of Ed Victor’s Bedford Square project. Not the rights grab it might have appeared to many when word of it first got around in 2011, it was, in fact, created, she tells us, as a kind of remedial solution to the problem of strong books that needed re-publication. Bedford Square, in its two years, has published only 10 books. “Only when publishers rejected our offers for them to re-publish a book did we go ahead and publish it ourselves,” Imrik says with the calm command of a museum docent. “What we’ve found in our couple of years,” she turns a corner in the conversation gracefully, “is a very beneficial side effect. And that is that by making these books available” as their primary re-publisher, “we also are able to sell their sub-rights. So, for example, when we published Dead Rich (Louise Fennell’s debut), which was one of our original books, we also were able to sell the foreign rights. In some cases, we have audio rights, as well, as a result of publishing these books. “And sometimes, it works a different way,” she says. “For example, we asked Penguin, which originally published Andrew Marr’s The Battle for Scotland, if they would like to reissue this book. And this time, the publisher said yes, of course, because it will coincide with the Scottish referendum for independence (set for September 18, 2014). 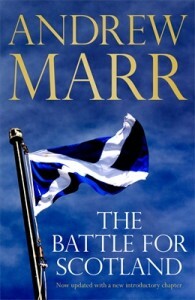 However, we still were able to sell audio rights” for Marr’s book. The publishing community on both sides of the Atlantic has struggled with the specter of a conflict of interest around agency publishing. Our question hardly surprises Imrik. “We are, first and foremost, agents,” she answers. “We’ve always been very clear about that. But the roles have become, in recent years, less clear, that’s true. Some agents are doing publishing. Some booksellers are being publishers. Some authors are being publishers. So there’s a lot more overlapping than there used to be. What’s more, Bedford Square does not lock down the primary rights as a standard publisher does. The normal publishing contract transfers the author’s primary rights to the publisher for an extended term of years. Imrik, however, says that a Bedford Square author’s rights are immediately available, should something change. In fact, Imrik talks of the effect, if not the outright purpose, of the Bedford Square program as being “a nudge, quite a strong nudge” to publishers that may be swayed by seeing a book out on the market and then want to re-publish it, themselves. “We have a very flexible arrangement with the writer, which they can break up at any time. We obtain the publishing rights. However, they can give us notice if they decide that they don’t want to do this anymore. “It’s very important for us to do this because if an original publisher comes along and says, ‘We would like to publish the book, after all,’ then we’re able to cancel our publishing contract” with the author “and go ahead with publication via the traditional publisher. Imagine a day when literary agencies compete with each other for the chance to put an author’s new book before the public. I feel like there’s a space where agents can invest and work with their authors to get the material out and then see what happens. If it’s a success, then it may transition back into mainstream publishing. Imagine that the tools of competition are just how well each agency can leverage online visibility for a new title and its author. The enticements displayed to attract coveted entrepreneurial authors might include special promotions at Amazon and in other retail venues, plus demonstrably and historically high sales rankings for other agency clients’ work. Those sales rankings might be driven by interviews, reviews, word of mouth, social-media performance directed by agency specialists who have proven their skills in creating market presence and profits for authors. In short, what if agencies vied to demonstrate how well they provided discoverability to their author-clients? “You know how in America, the studios produce pilots” for seasons of television? 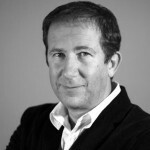 The literary agent Jonny Geller, joint CEO at London’s Curtis Brown Literary and Talent Agency and Managing Director of its star-studded Books Division, talks of a kind of showcasing role for an agency. He sees the agency “piloting” the work of an author, with the express intent of demonstrating that work’s salability in the publishing plaka. “A lot of time goes into those pilots if they’re done properly” for television, Geller says. Likewise, a carefully created publication of a client’s work assisted by his agency might well mean that work is “picked up” both by consumers and by a publisher, as we’d say a TV show is picked up by a network when its pilot is a winner. Geller is actually talking about self-publishing by the author, supported and assisted by the agency. It is less formally structured at this point at Curtis Brown than is the full publishing work of Ed Victor’s Bedford Square Books. “We’re not in competition with publishers,” Geller says, echoing Imrik. Then he goes a step further into his own concept: “We’re actually trying to make the process of buying intellectual property and copyrighted media easier for publishers”—by proving its viability for them in the marketplace. This is similar to what Imrik calls the “nudge,” as in a push to publishers who might need to see a property in play before wanting to acquire it. Remember that Imrik’s Bedford Square Books does actually publish (or re-publish) an author’s’ work — digital-first, and with print-on-demand capability. Jonny Geller’s efforts at Curtis Brown, by contrast, are more purely assistive; rather than publishing outright, this agency — at this point — helps an author self-publish with various supportive services. I emphasize “at this point” because Geller is one of the most cautiously persistent of our interview subjects in naming these efforts experimentation. His care is well-placed. All is still in flux, in beta, in development. 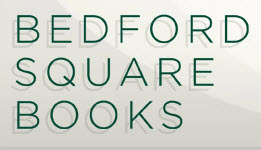 In the case of Bedford Square Books, the company has the primary publication rights to a book, but the author can retake those rights at any time if he or she decides to (perhaps because a publisher comes along and wants to publish the book). At Curtis Brown, the author retains the rights and nothing the company does exceeds typical agency commission levels, Geller tells us. “We’re doing it in a standard way at the moment,” Geller says, “which is that, as the agent, we facilitate it happening. The author has a choice of a series of editorial or marketing services they can either spend or not spend on. That’s up to them. “And it’s very early days. We haven’t set up a proper publishing arm or anything, which is not to say it won’t happen in the future. And, of course, the great thing about it is that as soon as an author wants out of it, they can. There’s no license here, it’s only about the relationship we have with that retailer (of a service) that restricts them. With an eye to the future, in fact, Geller sees this comparative agility of an agency as a main lever to where change is coming. “I think ultimately what will shake down is that the very fabric” of copyright licensing “with publishers will change. As you know, in Europe, it’s shorter licenses. Hearing this agent speak of authors and their rising power is not new to discerning writers who have followed Geller’s occasional and bold commentary in the industry press. Authors who are valued, understood, appreciated, included, nurtured and spoken to like an adult will experience a phenomenon called Trust. Trust breeds loyalty; loyalty means longevity; longevity means sales. Their book to get to as many people as possible in the most agreeable form and manner possible. What authors and agents also want these days is for publishers not to get in the way of success. Using Curtis Brown’s powerful position as the agency home to a remarkably deep bench of strong authors and a jaw-dropping catalog of literary estates (from Beckett and Churchill to du Maurier, Faulkner, Milne and Steinbeck), Geller takes his remit on behalf of writers very seriously. What may set the agency community apart in coming years of developments in author presentation and publication, Geller stresses, is maneuverability. 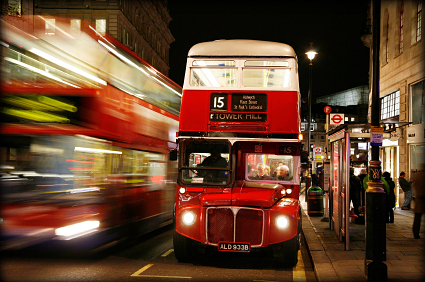 “Agencies have this potential to be very agile. And as we’ve discovered, the bigger publishers get, their challenge becomes how agile can they be? How can they respond to the changing needs of the author? The retailer? The reader? They’re having trouble with that. “Whereas, we’re in a position, I think, in which we can invent a new industry if we want to. And we have, to some degree. “We’re the first agency to produce our own movies. 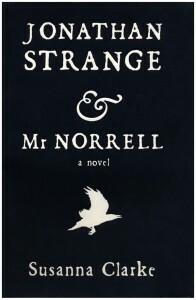 We have a commission for the most expensive, the biggest-budget drama they’ve ever done for BBC One, based on one of the books I represent, Jonathan Strange & Mr. Norrell” by Susanna Clarke. “And it is an experiment, because that (the film production) is a more advanced version of what we’re talking about,” the agency in this case performing as executive producer to a comparatively massive display of authorial accomplishment. And while that space may be occupied at the moment by the “English magic” of Clarke’s Raven King and lesser sorcery, Geller’s light touch — less formal structure, more agency “agility” — may eventually prove, in fact, to be the fastest way to new agent-author relationships. “The argument we make is that it’s not for every author. But if they do want” to do this sort of work with the agency, “they must get a better deal than anywhere else, and they must have more control than they get anywhere else, and the rights that we need are very different from the rights that a studio might need.